During this foray into production of droplet microfluidics, the team used fittings that were 3D printed with commercially made needles and tubes. In recent years, droplet generators have been made through soft lithography, 3D printing, or basic, low-cost assembly of fluidic units. Historically, each process has had its challenges; today, however, the main obstacle lies in creating droplet generators that offer versatility in size and complexity of emulsions. (a) Modules used for the fabrication of microfluidic axisymmetric flow-focusing device: needle (N), 3D printed holder (H), 3D printed Y-fitting (Y) and tube (T). Schematics and optical images of (b) a single flow-focusing device formed by co-axial arrangement of the 3D printed connector and a needle, (c) serially connected, two flow-focusing devices to produce double emulsions, and (d) a flow-focusing device with a parallel laminar flow to produce compartmented particles. Scale bar = 10 mm. Vijayan and Hashimoto used 3D printed nodules and parts with a smaller dimension as they made axisymmetric droplet generators. This allowed for more spacious microchannels and better fluidic connections—all in a plug and play device—resulting in high-performance emulsions. Stability in droplet production occurred through their new method, which is simpler, creates better resolution in channels, and customization. The team used AutoCAD for designing the high-performance fittings, 3D printed on a Form 2 using Formlabs Clear resin. For post-processing, they created an isopropanol wash for eliminating leftover resin. They also achieved better resolution by using standard needles, specifically those with smaller internal diameters than the channel widths. Customization features also included ease in using multiple devices as well as other 3D printed fittings, like Y channels. They were also able to change the size of droplets just by alternating needles. Modules allowed for a variety of different emulsions with two generations manipulating flow and creating double generation. Janus particles (colloidal particles ranging in surface chemistry and size) were also created via a laminar flow with two different fluids. “The method of fabrication we developed offers several characteristics that would complement existing methods to fabricate flow-focusing generators. We took an advantage of well-defined, small size of features that the standardized materials (i.e. needles and tubes) offered, which were not achievable in desktop 3D printers. 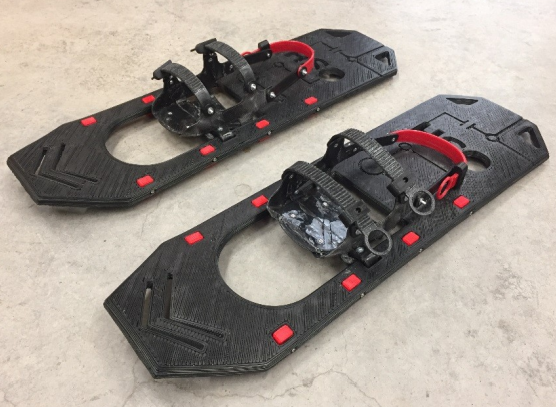 3D printed fitting added the route to design the configuration of the multiphase flows (i.e. concentric and co-laminar) to achieve generation of intended emulsions. As the fabrication can be done in a simple plug-and-play manner, we believe that the method we developed in this work benefits non-experts to perform generation of emulsions using microfluidic devices for various applications,” concluded the researchers. (a) Optical micrographs showing the controlled generation of W/O emulsions using three different dispensing needles of varying IDs. (b) A plot showing the diameter of droplets obtained for three different dispensing needles against varying Qc at Qd = 10 μL min−1. The dispersed phase was 1% v/v blue dye in water, and the continuous phase was 2% v/v Span 80 in hexadecane. Scale bar = 600 μm. (a) A schematic illustration of serially connected flow-focusing devices for producing double emulsions. (b) Optical micrographs of produced W/O/W double emulsions with varying numbers of inner droplets obtained for a range of Qo with Qm = 30 μL min−1 and Qi = 5 μL min−1. The inner, middle and outer phases were 0.25% v/v red dye in water, 3% v/v Span 80 in hexadecane and 0.1% v/v yellow dye in 90% glycerol in water solution. Scale bar = 600 μm.